The Green Lantern mythology got off to a rough cinematic start with 2011’s Green Lantern, but Warner Bros is giving the Emerald Knights another shot for the DC Extended Universe. Despite being placed last on DC’s current movie slate, various reports and rumors about Green Lantern Corps have been trickling in for more than a year. Earlier this week, we heard that the movie could feature as many as three human Green Lanterns. Now the rumor is out that George Miller might direct the feature. George Miller is being rumored to direct the Green Lantern Corps movie. I think it would be perfect for him. George Miller already has a hand in the DCEU as a producer on Justice League: Part One, but if this rumor is true and he is indeed hired for the job, he’ll finally get the opportunity to direct a DC movie. He was set to direct Justice League Mortal in 2007, but the Writer’s Strike delayed that, and following added financial difficulties, the project was scrapped. Last year, it was reported that Warner Bros and DC were looking at him to direct Man of Steel 2, and while that didn’t end up working out, he still seems keen on jumping into the world of superheroes at some point. The main issue with Miller taking on Green Lantern Corps is that he has his hands full with at least two more Mad Max movies, so depending on when those end up shooting, there might be scheduling conflicts. Still, at least all these movies rest at Warner Bros, so it would be easier for Miller and the studio to work something out. Unlike 2011’s Green Lantern, which focused on Hal Jordan’s origin, Green Lantern Corps will feature several human Green Lanterns as the leads, who at the moment are said to be Hal, John Stewart and Kyle Rayner. It was also reportedly described as "Lethal Weapon in space," meaning it might have more of a buddy cop-movie feel. No actors have been officially cast as any of the ring-slingers yet, although Tyrese Gibson has made it clear for over a year that he wants to play John Stewart, and he even said he’s been in touch with Warner Bros about the role. At least one of the Green Lanterns is also expected to eventually join the Justice League, although we likely won’t see them working with the team until Justice League: Part Two. Green Lantern Corps hits theaters on June 19, 2020. In the meantime, let us know what you think about George Miller potentially helming the movie in the poll and comments below. 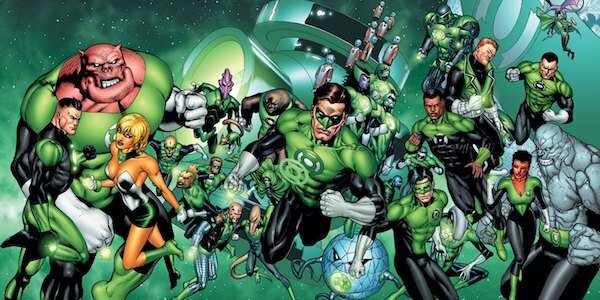 Would You Like To See George Miller Direct Green Lantern Corps?